The following article was published in the Duluth News Tribune on August 29,2010 and with the author’s permission we are republishing it here. Duluth, please ban the synthetic THC substance found in K2, Spice, California Dream and other marijuana-mimicking products. On May 15, my son, Charlie Davel, smoked K2 and within hours died after leading police on a high-speed chase, turning the wrong way onto a freeway and hitting a parked tow truck. His vehicle was traveling faster than 100 mph. This was not my son in his right mind. He had many things going for him. He was a devout Christian and a star wrestler in high school. He was college-bound, had just bought a fishing license and so much more. We, his friends and family, believe K2 was the major factor that caused him to act irrationally, costing him his life. The officer investigating Charlie’s death, Detective Jay Dunston of Waukesha County, told us about K2 several days after Charlie’s death. I had never heard of it. The officer learned Charlie had used it after conducting interviews with those who had spent time with Charlie in the hours before his death. Charlie is far from the only person victimized by this substance. In early June 2010, David Rozga of Indianola, Iowa, smoked K2 and then went home and shot himself. I have been in contact with David’s parents. I also have been in contact with the mother of a young man in Hastings, Minn., hospitalized after smoking K2. Just a few weeks ago, the state of Indiana began to announce documented injuries with K2. More recently, I read of Derek McQueen, who smoked K2 and tried to slit his throat. I am attempting to have contact with him. The son of Rick Bell and Cheryl Berg of the Eau Claire, Wis., area, smoked K2 and has been hospitalized for more than two months. Their stories are featured elsewhere on this page. I have several friends in ER nursing. They say more and more young people are coming into the emergency room with the severe effects of K2 and similar products. Earlier this spring they had patients who came in, and the medical staff had no idea what they had taken. When Charlie died, only two states had made these substances illegal. Today there are at least eight. This stuff is poison! It is unregulated, and you never know how potent a batch will be. I have heard the officer who chased Charlie was assigned administrative duty for awhile as a result. That means he’s not out fighting crime. How much does that cost? I am guessing he also will receive post-traumatic counseling. The Sheriff’s Department closed the freeway for four hours after Charlie’s crash. The Highway Department spent hours cleaning up the site. This included picking up pieces of automobile and cleaning flesh, blood and a variety of fluids. I have no idea the financial burden of the county for this. Not to mention the emotional trauma of everyone involved. If I were a highway worker, I would rather plow snow and fix roads than clean up a horrific accident scene in the middle of the night. The city of Duluth will make the right decision when it bans the sale, possession and use of this poison. We won’t know how many lives such an action will save. We won’t know how much emotional pain, agony and heartache will be prevented. We won’t know how much taxpayer money will be saved. But we do know that if this product continues to be legally available, more will die, more will hurt and more will pay. Maybe so his story will save others. Bonnie Davel lives in Waukesha, Wis.
ExperTox Celebrates 10 Year Anniversary!!! 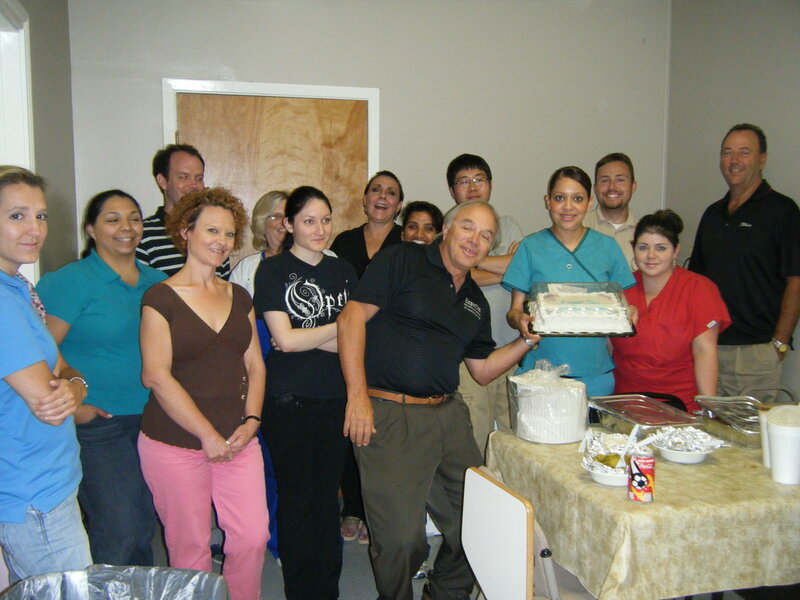 ExperTox celebrated our 10th Anniversary in July!! We want to thank all of our clients for their continued support over the years. Without you, it would not have been possible.